My favorite Graphic Designer, Matt Taft, did the entire cover art project and I can’t say enough about how well he captured the emotion of the story. I’m greatly indebted to him for his skill and his patience (there were quite a few “smallish” changes that I asked for, repeatedly) . His company is www.SiteSkins.net Matt is a gentleman of varied tastes and is very skilled at not only the visual arts (photography, graphic design) but is also an accomplished music producer and sound engineer. He also is a dead ringer for the actor Sam Rockwell. She is an excellent artist in many ways, make a research about her and you will see. Laurel is a talent and chaming actress and artist. She is my most favorite actress in the world. Laurel Hollowman is a great Actress and Artist.She was Famous for her role in the Lword.love the Series.love your Art. 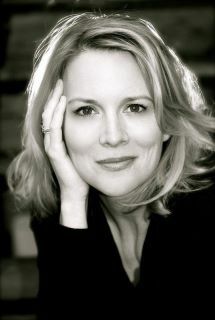 Laurel Holloman is a good Actress loved her on the lword.i am looking forward to the Book. Laurel hope to meet you someday and give you a big Dutch hug. Stay shining and be well.